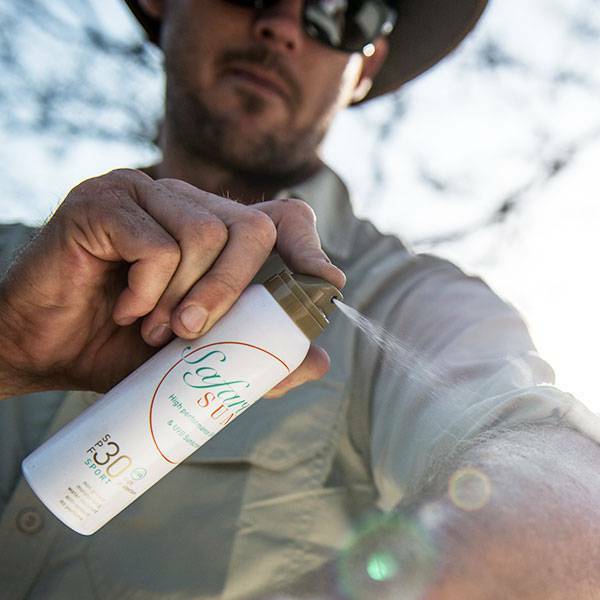 Add a new, exciting element to your safari experience by collecting snapshots and video of undisturbed wildlife and capture sights around camp and in the bush with this animal-friendly camera trap. Features: ⊙ Incredible one-year battery life (the camera is able to operate off a minimum of four AA batteries, but is also able to take eight. AA batteries are not included and battery life will depend on the quality of the battery you purchase, temperature, and number of images per day); ⊙ Advanced ultra compact design; ⊙ Day/night auto-sensor for 24-hour operation; ⊙ Invisible 32 LED night vision flash for covert scouting (45 foot/15m range); ⊙ Full-colour, high-resolution images setting (black and white for night operation); ⊙ Fast trigger speed - less than one second; ⊙ Date and time stamp on every image; ⊙ Impressive temperature range of -20 degrees celsius to +60 degrees celsius; ⊙ PIR Sensor (Passive Infrared Sensor) is motion-activated out to 45 foot/15metres; ⊙ Adjustable web belt and tripod socket; ⊙ Weatherproof and rugged; ⊙ SD card slot up to 16MB (not included); ⊙ Programmable: 1) Trigger Interval; 2) Multi-Image Mode (1-3/Trigger); 3) Video Length/Resolution; 4) Adjustable PIR (Low/Med/High). 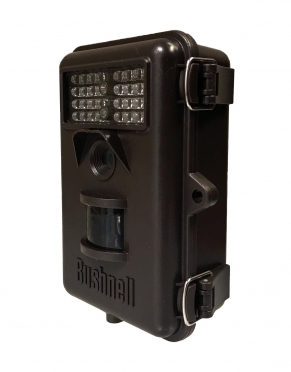 Ever since we saw these photo trap cameras on the BBC series 'Lost Land of the Tiger', we knew that we simply had to add these to our range. We have always wanted to know which animals were active in camp during the day and at night after we had left the camp fire and gone to sleep in our tents and this is such a fun way to find out! 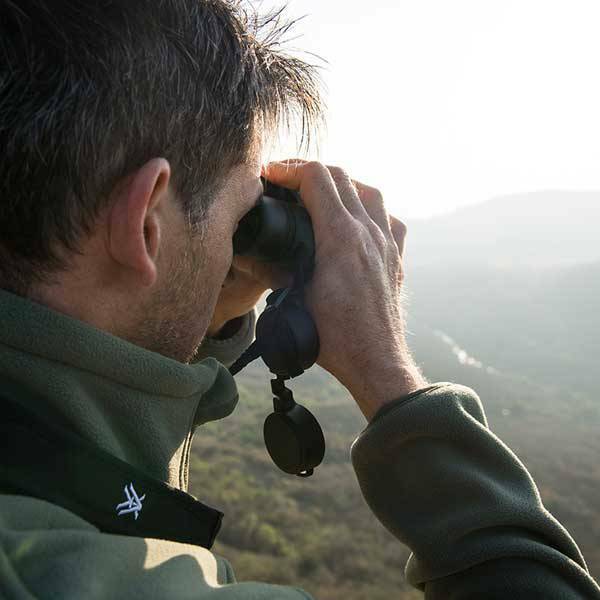 Our advice is to attach two or three cameras around the camp or lodge in areas where your guide thinks animals are most likely to pass through. Attaching one to your tent pole or a tree in front of your room would also be a fun idea. According to your selected setting, the camera will then record animals walking in front of the camera. 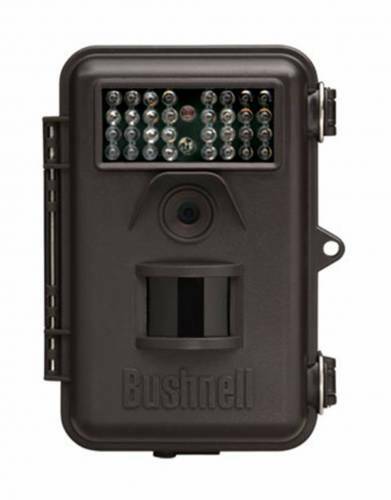 The PIR sensor has a coverage area 3x larger than any other Bushnell camera built to date, with a trigger time consistently less than one second. 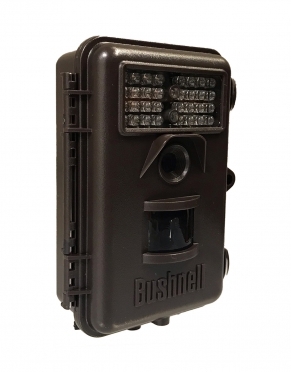 The cam won't alert game animals thanks to 32 night vision LEDs which have a range of 15 metres (45 foot). Select up to three rapid-fire images per trigger or a 0 to 60-second interval between photos. Video mode records a programmable 1 to 60 seconds of action. For still images, you are able to set the resolution up to 8 megapixels to record images in high resolution. Each image will also record date and time so that you will know what walked through camp and when. Even when you go out on safari in the morning and in the afternoon it may be fun to leave the cameras operating as the cam has a day/night auto-sensor for true 24-hour operation. The cam is small (9x14cm), lightweight, weatherproof, and rugged. You will simply love showing the images you record to your friends and family, other guests in your camp, and of course the guides and camp staff. Everyone will be intrigued to know which animals lurk around camp when no one is about or watching.